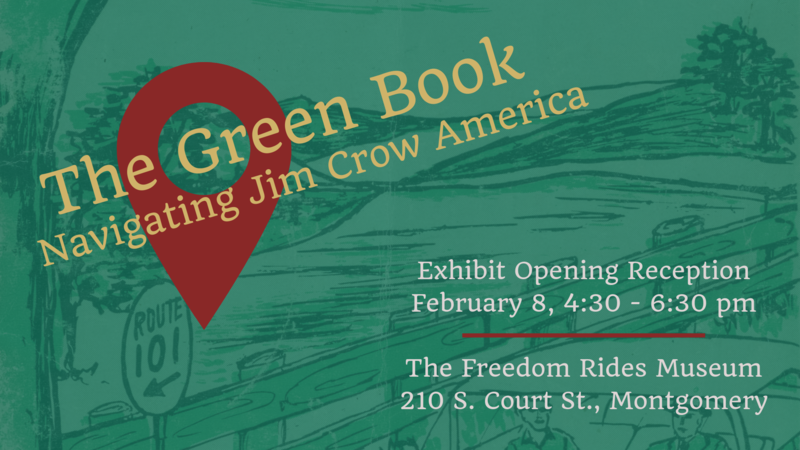 The exhibit "The Green Book: Navigating Jim Crow America" lays out the ways Black travelers used guides and networks to ensure that they could travel through segregated America safely, along with how the Freedom Rides and Civil Rights Movement changed interstate travel. It also highlights modern efforts to preserve the homes and businesses listed in these guides, that provided courteous and efficient service to Black travelers when many others would not. Join us for an exhibit opening reception on Friday, February 8, from 4:30-6:30 pm. View the exhibit, hear from the curators, and enjoy after-work refreshments. The exhibit is on display at The Freedom Rides Museum for all of February 2019. Call 334/414-8647 for more information.